Why aren’t we talking more about the Fall River Children's Museum? 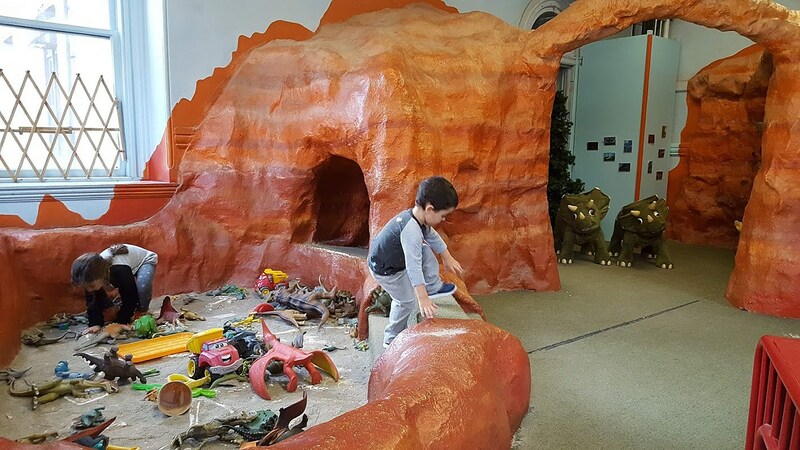 Occasionally I’ll see a friend post a photo or two from the Fall River Children’s Museum followed by one or two sentences that don't say much other than "had fun today." And while the photos are cute, they are posted so far and few between that it is not a place that comes to mind when thinking of things to do. Admittedly, I would not have gone at all, but my kids have a playground bucket list and the museum's space station is on it. Without a doubt, I thought the museum's new space-themed playground would be their favorite part of the museum, but it wasn't. As soon as we walked in, the kids were so overwhelmed by things to touch, build, and climb that they barely stood still long enough to take their coats off. They were overjoyed to be there. We stayed at the museum for nearly three hours and the only reason we were able to leave without incident is that it was closing. I’ll admit, prior to going, most of what I heard was that it was too expensive for what it was. I didn't really think about what that meant for the people who'd said it, but was $24 too expensive for three of us to be away from screens for three hours? Nope. We weren't even a mile away from the building before both kids passed out in the backseat. If you haven’t been to the museum in the last six months, it is worth revisiting. There are eight exhibits including a water room, Violet’s Music room, a dino-themed room, a healthy check-up room complete with kids x-rays, doctor tools and an oversized Operation table, a Lego room, the space playground on the second floor, and a room that projects a giant interactive video game on the floor. Plus the hallways have activities, too—there is virtually no space that does not have something to interact with, including this system of tubes that shoots balls out from every which way. The basement level is home to the former Old Colony & Fall River Railroad Museum and has a full model train set up that fascinates regardless of age. The details are amazing! The hours of operation aren't quite the same as the museum so if you can get there while it's open, it's worth it. And it should be noted that there are bathrooms everywhere, on every floor. When you have little kids, that is a very important detail. Kudos to the team that started this museum six years ago. Despite many visitors saying they “didn’t know it even existed," they still show up, open the doors, and invite kids to come in and play. Follow the Greater Fall River Children's Museum on Facebook here to see admission specials, exhibit announcements, and other fun stuff to keep your kids busy.